Our product range includes a wide range of fire fighting manpower on contract and fire tender with crew services. 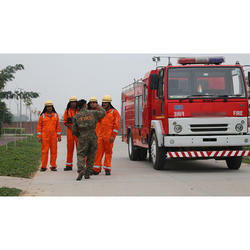 Our company provides services of Fire Fighting Manpower on Contract. A large number of trained fire fighters and fire officers are available with us. They are well experienced in the management of industrial fire services, fire fighting and rescue operation. They are professional fire fighters having different length of service rendered in the field. Apart from trained fire fighters we also provide fire tenders and fire extinguishers on rental basis. 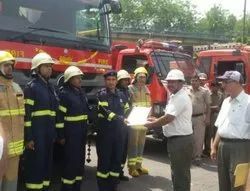 We provides services of Fire Fighting Manpower on Contract. A large number of trained fire fighters and fire officers are available with us. They are well experienced in the management of industrial fire services, fire fighting and rescue operation. They are professional fire fighters having different length of service rendered in the field. Apart from trained fire fighters we also provide fire tenders and fire extinguishers on rental basis.